This collage was created nine months ago by CTA25 from the San Jose Development Forum on Skyscrapercity (yup, that's how far behind I am on the forum). 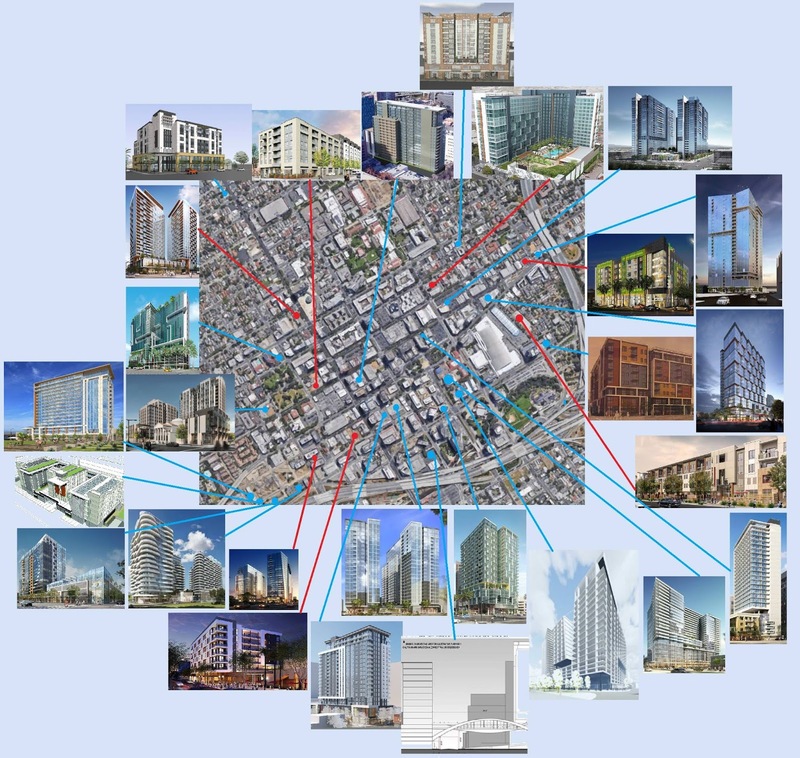 While some projects already have revised designs and it is missing some of the recent megaprojects like Adobe's 4th tower and Boston Properties' insane 1.8 million SQFT proposal, this provides a pretty good perspective on just how different Downtown San Jose will look in a few years. Red lines are projects that are already well under construction.